Beacon, NY, July 24, 2018– Ballet Arts Studio will offer an exclusive five-day Ballet Intensive Workshop taught by former New York City Ballet dancer and renowned choreographer Miriam Mahdaviani from August 13th through 17th. Mahdaviani danced for two of ballet’s greatest choreographers, George Balanchine and Jerome Robbins, and has created new works on prominent dancers such as Wendy Whelan and Christopher Wheeldon. Currently, Mahdaviani teaches ballet technique at Vassar College and coaches students at professional dance training programs around the country. For the Ballet Intensive Workshop, Mahdaviani will draw on her extensive professional dance experience to offer instruction in Balanchine technique, working to strengthen students’ ballet technique, speed, dynamic range, and musicality. Experienced dancers 12 years of age and older will spend the week practicing new skills, improving pointe work, studying character dance, and learning classical variations. Mahdaviani will also teach classes in dance history, nutrition and injury prevention, and work with students to create new choreography. The week culminates with an in-studio performance for family, friends, and the community on Friday, August 17th at 5 pm. This summer-time Ballet Intensive Workshop enables students to give full attention to dance training, and to spend the week with other teenage dancers from our local area who share a passion for dance. The Ballet Intensive runs August 13-17 from 10am-4pm (7 pm on Friday). Registration deadline is August 6. $375 for the week. Miriam Mahdaviani began her classical training at the School of American Ballet, after which George Balanchine invited her to join the New York City Ballet (City Ballet). During her 14-year career at City Ballet, she danced in over 40 Balanchine ballets, and worked with other notable choreographers including Jerome Robbins, Lar Lubovitch, Twyla Tharp, Jacques d'Amboise, and Peter Martins. She performed leading roles in numerous Balanchine ballets, among them Jewels, The Sleeping Beauty, La Valse, Coppelia, and The Nutcracker. On screen, she appeared in the Dance in America series on PBS, and in City Ballet's movie of Balanchine's The Nutcracker. Ms. Mahdaviani has choreographed several ballets for City Ballet as well as for major dance companies around the United States and internationally. Since 2004, Ms. Mahdaviani has been a visiting professor of dance at Vassar College, teaching ballet technique and pointe classes at the beginner through advanced levels. She also teaches master classes and workshops in Balanchine technique at ballet schools, college dance programs, and summer programs throughout the Northeast. Ballet Arts Studio has been training dancers since 1961. The school utilizes a progressive, modern approach to Agrippina Vaganova's ballet curriculum and technique. Over the years, its programs have grown to include The Dutchess Dance Company and The Young People's Performance Company, Inc. ("YPPC"), focusing on professional-level performance experiences as a means to artistic growth and development. The school’s teachers and guest artists received their training and performance experiences in internationally recognized conservatories and dance companies, including American Ballet Theatre, New York City Ballet, the Boston Ballet, Alvin Ailey American Dance Theater, The Washington Ballet, The School of American Ballet, the Mark Morris Dance Company, the Merce Cunningham Dance School, and the Radio City Rockettes. Ballet Arts Studio and The Dutchess Dance Company are located in the thriving community of Beacon, New York. This summer, Ballet Arts Studio will have more than six weeks of Pre-Ballet, ballet, modern, musical theater, Jazz and tap classes in late June, July and August. The classes will be for children ranging in age from 3 to 18. Click here for more information about the Summer Program. 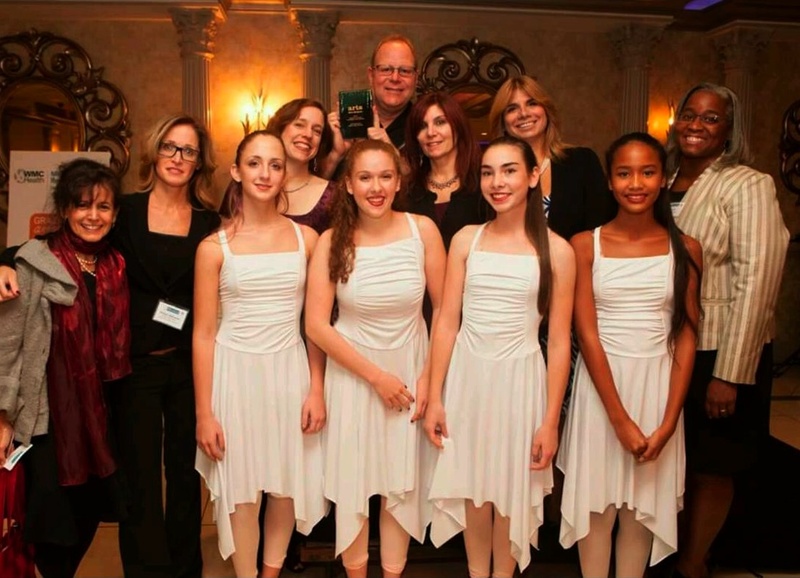 Ballet Arts Studio is honored to be the recipient of the 2015 Arts Organization from Arts Mid Hudson. The award, which recognizes a "Dutchess based arts organization that has made an important contribution to the growth of Dutchess County's cultural life over a significant period of time" was presented at a gala event at the Villa Borghese in Wappingers Falls. Dancers Solee Dinio, Alyssa Eikler, Sara LaPadula and Ariel Ridenour performed a modern dance piece for the attendees. It is an honor to be recognized for the work we do and we couldn't do it without the dedication and talent of our faculty, staff, dancers and parents! We also wish to express our deepest thanks to Kelly Ellenwood and Beacon Arts for nominating us for this prestigious award! 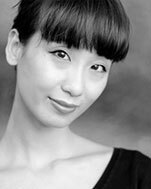 Ballet Arts Studio is excited to announce a new addition to its ballet faculty, Eve Chan, who will be teaching additional technique classes at the studio, including an advanced leaps and turns class, on Fridays. Ms Chan began her ballet training in the Royal Academy of Dance method in Hong Kong. At age 17, she was selected into the professional training program at the Hong Kong Academy for Performing Arts, majoring in Classical Ballet. Upon graduation, she became a ballerina with the Hong Kong Ballet, where she performed for nine years, rising to demi-soloist, and also becoming Resident Choreographer. While with the Company, Eve performed throughout Europe, the United States, Canada, and China, and danced many featured roles in classical and contemporary ballets, including Swan Lake, Sleeping Beauty, The Nutcracker, and Cinderella. Ms. Chan's choreography has been presented in the United States, Europe and the Far East. Upon her retirement as a professional dancer, Ms. Chan received an MFA in Dance from SUNY Purchase, where she taught ballet, pointe and Variations classes at the Conservatory of Dance, and taught ballet classes at the School of the Arts. Ms. Chan currently teaches ballet in New York City and throughout the Northeast. In addition to the new ballet technique classes, Ballet Arts studio will be adding an additional Musical Theater Class, taught by Ms. Katie Bissinger, on Fridays at 5:30 as well as an additional level of the popular tap classes, level 5, which will be offered on Saturdays. Classes for the 2015-2016 season begin September 14th. Registration is now open. For more information and to register for classes, please visit the website at www.BalletArtsStudio.com or contact Ballet Arts Studio at 845-831-1870 or via email at info@BalletArtsStudio.com. New Summer Classes and Programs have been posted. Click here. STUDENTS who have achieved any award or distinctive recognition should let me know, so that I can post congratulations at the Studio and on the website. The award or recognition does not necessarily have to be dance-related; it can be, for example, academic, musical, theatrical. . . . Let me know, so I can let the whole Ballet Arts community know what our students are doing! “Remembering Pina” is a tribute and dance spectacle, inspired by the celebrated German choreographer, Pina Bausch (1940-2009). International choreographer and dancer Susan Osberg is intent upon multifaceted art making - including written and spoken word, choreography and film. Since her Workwith Dancers Company moved from NYC to Beacon in 2004, she has been presenting original choreography and improvisational work, while generating small films in a two step recycling process, transforming her dances from performance to film. The performance - “Remembering Pina" will elicit a montage of dance imagery along with a video installation by Jean Brennan and spoken word by the dancers. The studio space of Ballet Arts in Beacon NY, will evoke Pina’s rehearsal studio in Wuppertal, Germany. Susan Osberg has collaborated closely with her dancers, ranging in age from 65 to 30, all of whom remember the annual New York performances of Pina Bausch at BAM. Memory, as we know, is neither accurate nor true. Here, the act of remembering is a process of forgetting and making something new.